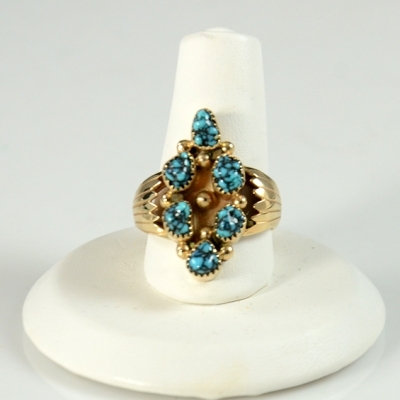 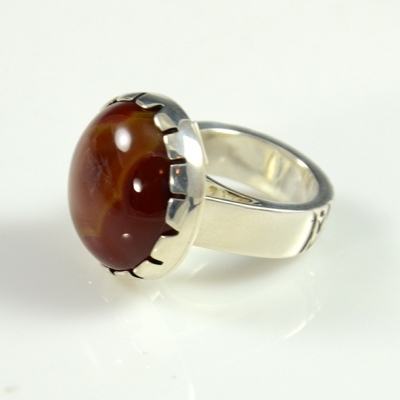 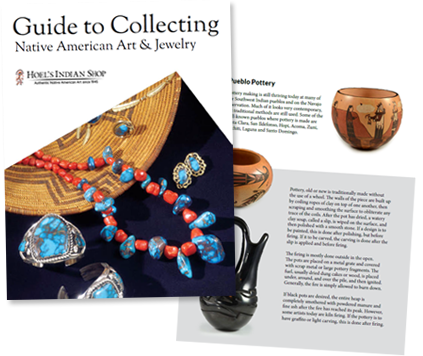 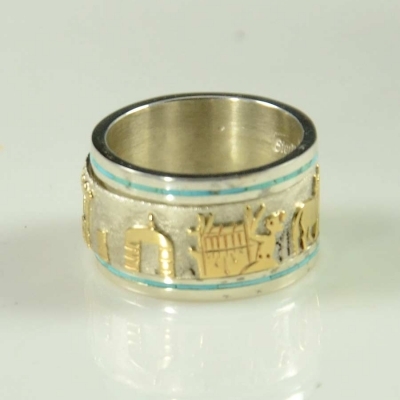 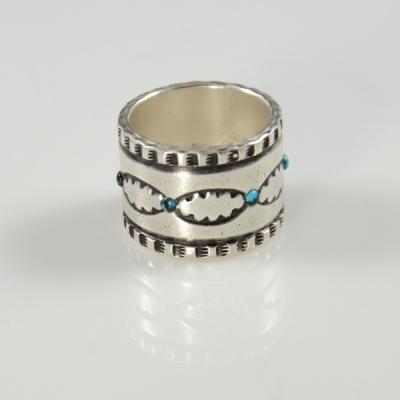 This Sterling Silver Men’s Ring was Handmade by Zuni Artist, Amy Quandelacy. 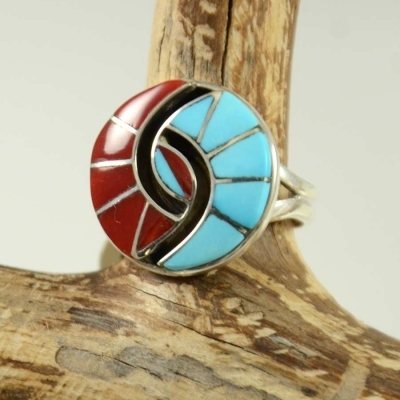 It is Amy’s hummingbird design and is inlaid with beautiful natural, turquoise, coral and mother pearl. 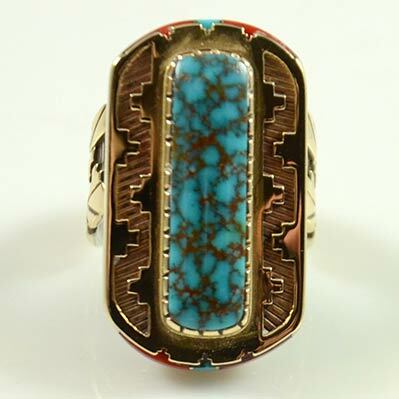 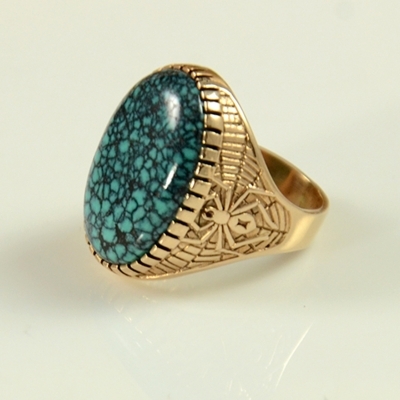 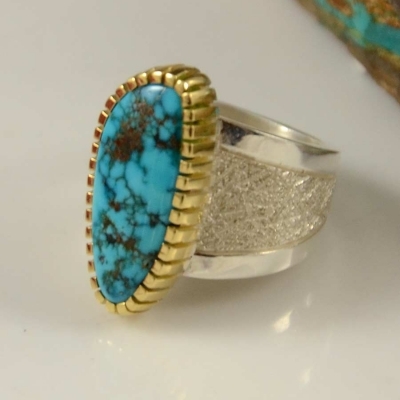 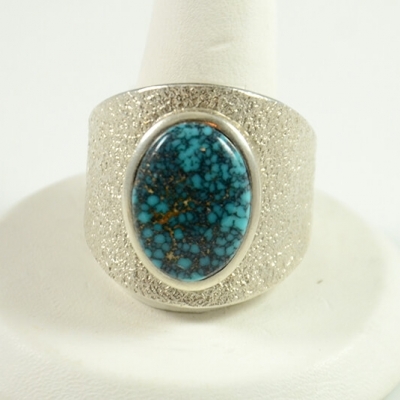 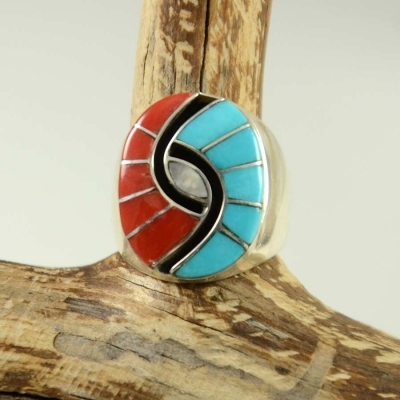 Sterling Silver Handmade Ring was Made by Navajo Artist, Leo Yazzie It is inlaid with Turquoise and coral. 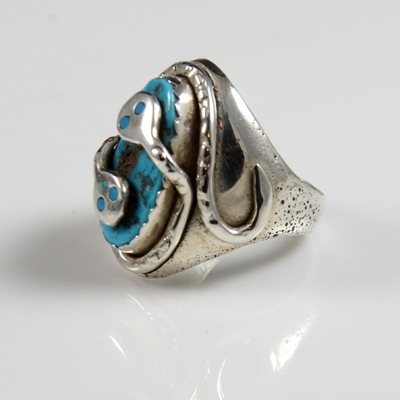 Rare Sterling Silver and Gel Sugilite Ring by Zuni Pueblo Artists, Lee and Mary Weebothee. 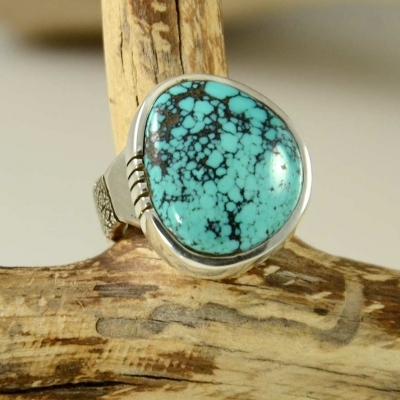 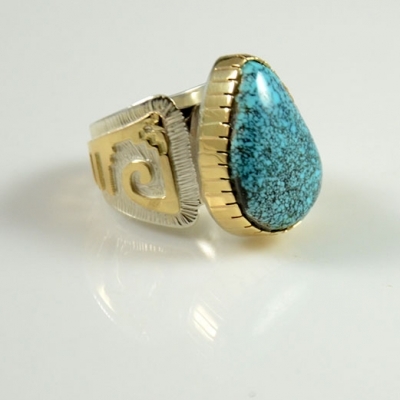 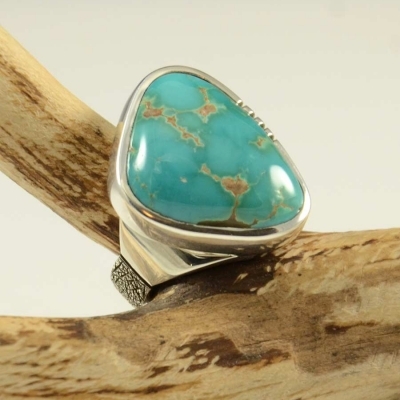 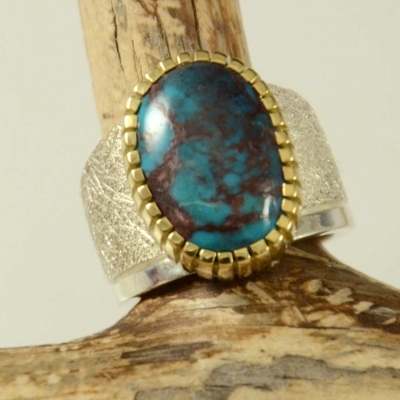 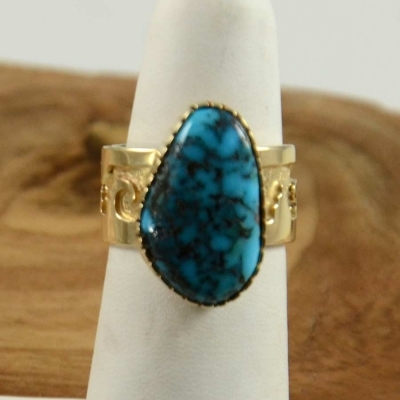 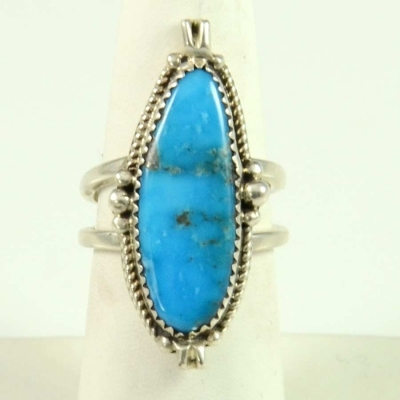 Navajo silversmith, Craig Agoodie designed and made this contemporary heavy sterling silver ring which is set with a 20ct Natural Nevada Blue Turquoise stone.